While no longer in its infancy, the era of cloud computing services is relatively new and must circumnavigate a number of challenges that could impede further growth. Cloud computing is growing at an unprecedented pace. Large and small businesses are accelerating their bandwidth consumption as they increasingly make use of the many opportunities the cloud has to offer. Companies particularly appreciate the availability of services that were once only available to enterprise-level firms, such as data storage, security, billing support, and business voice. The smart enterprise: The need to boost efficiency and optimize the use of assets will continue driving organizations to greater use of cloud computing, including both “public cloud”, “private cloud” and “hybrid cloud”. Organizations should make best use of these without increasing complexity and costs. Consumerisation: The rise of very capable consumer devices, such as smart phones and tablets, has added further momentum to the need to manage the use of such a “consumer technology” at work. We can call this issue “The iPad Effect”. Adopting a stance that completely prohibits such an approach is unlikely to be successful. Organizations should manage the risks and still lock in the benefits. Metered bandwidth might become a significant obstacle to cloud computing’s upward trend. Terry Hedden, founder and CEO of Infinity Technology Solutions (now Zeno Technology Solutions), points out that “metered bandwidth could end this whole cloud game.” The move from allowing cloud users to utilize unlimited amounts of data to charging for specific bandwidth usage could impede small and medium-sized businesses from expanding their use of cloud services, as they seek for less costly alternatives. SMBs might be presently oblivious to a major issue with moving to the cloud: Data ownership (See Who Owns What Where) Businesses transitioning to cloud must consider the import of legal advice with the development of their cloud computing solutions. 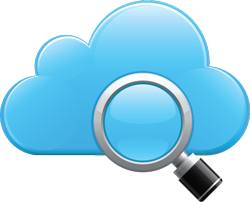 They also need to examine the cloud service provider’s terms very myopically. Cloud service agreements should detail exactly how a cloud service provider may use a client’s data as well as stating who has ownership of data being transferred to the cloud. Companies also need to clarify that their data cannot be locked into the provider’s cloud service, and that they are free to withdraw their data whenever they want. The best way a company can protect itself is to team up with reputable providers and to avoid unintentionally compromising data security by rushing to escape limitations caused by metered bandwidth. If you would like to know more about how cloud computing can improve your business processes please call on Cloud9 Real Time, the number one cloud computing solution of accountants throughout North America. Professional practices, attorneys, and small and medium size business owners are invited to take a test drive of Cloud9’s Simpler, Safer, and Seamless cloud computing solutions. At Cloud9 real Time we have ALL of the bases covered.